The UK chart results are in for last week's sales, with points of interest being the momentum of Wii U racer Mario Kart 8 and the launch of quirky 3DS Mii-sim Tomodachi Life; ultimately, it's a mix of good and bad news. On the happy news front, Mario Kart 8 has retained second place in the all-format chart behind Ubisoft's Watch Dogs, although it's fourth in the single format results behind the PS4, Xbox 360 and Xbox One iterations of that title. That's showing strong momentum, though Tomodachi Life has had a modest start, coming in 15th in both the all format and single format results. Nintendo may be disappointed with the Tomodachi Life results considering its fairly active marketing campaign for the title, though it has been heavily overshadowed since late May by Mario Kart 8 in terms of exposure, potentially distracting attention away from its arrival. If you do want to compare its results to Animal Crossing: New Leaf, a long tail success on 3DS last year, the AC entry made its chart début in second place. It's a long game outlook, perhaps, for the Mii-driven experience. 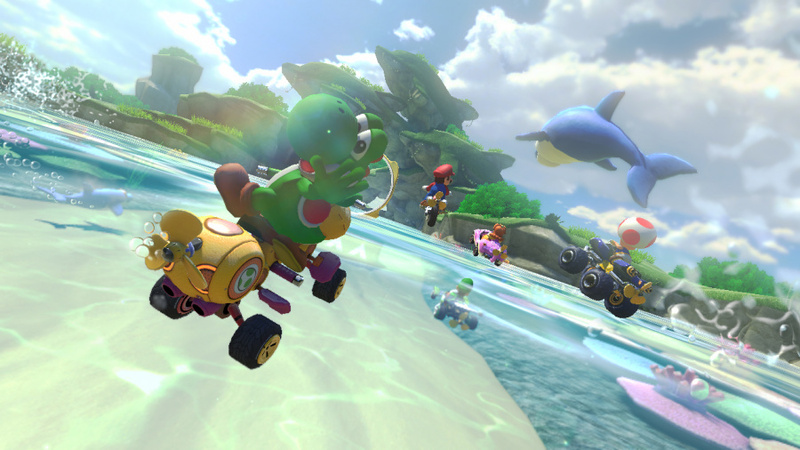 Did you pick up Tomodachi Life, and are you pleased to see Mario Kart 8 still riding high? Let us know. Animal Crossing reviewed way better than Tomodachi Life did. It will probably continue selling in moderate amounts, but I don't think many people see it as a big release. Oh, and last week loads of people moaned at me for saying that MK's debut chart week where it was only on sale for 2 days, would be higher than week two where it had a full 7 days. Guess what, MK sales dropped by 76% this week. Day 1 is what matters, in the UK, in North America, in Japan, it makes no difference. People will still keep making the comments about debut titles only have 2 days of sales though. I'm hooked at Tomodachi. That game is insane. Literally. @Peach64 I agree, most buyers who are awaiting a game buy it on launch day. Then a few buy it over the next week, and finally it hits a steady level of a few hundred(?) copies per week. Point is, I don't see where the confusion sets in for most people as its pretty standard. That said, Tomodachi Life was never going to sell well to the masses, it's just too Japanese. I thought it was going to be a niche Japanese title, and not marketed, whoever told Nintendo to spend this much marketing it wasn't too bright. Spend that money more on E3 or Mario Kart 8. That's not a bad position for Tomodachi Life. 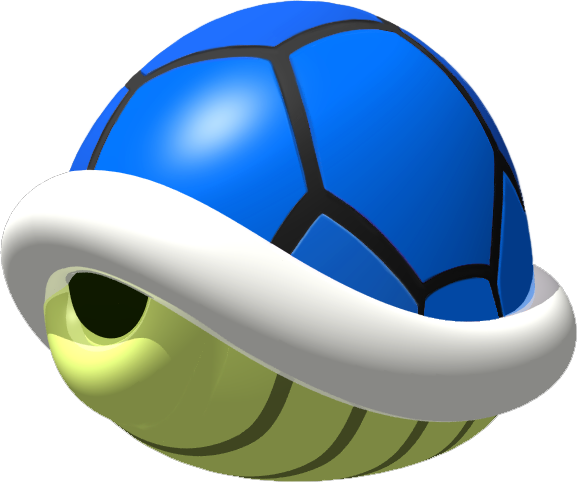 Hope Mario Kart 8 continues to sustain. I'd buy Tomodachi Life if it was priced cheaper. I'm not paying €40 for a game I can only really play on the side, it just isn't happening. Even if I did like the demo. Honestly the results for Tomodachi Life don't surprise me, the advertising campaigns made the game look unenjoyable. (Really only the direct made the game look fun) If I haven't played the game before I probably wouldn't have bought it myself just based off the ads. In reality I've been playing the game almost non-stop since the release it's addicting and fun! @Peach64 Completely agree with you day one sales are the biggest indication of how a game will do, after that it is mostly the few waiting for reviews or birthdays and then a majority waiting for the price to go down. I do believe the free games promotion will keep it reasonably charting till the end of July and it will continue to sell consistent modest amounts like the other MK games. Well I'm surprised as how the 360 watchdogs went to second place this week, both surprised and disappointed for the current Gen consoles, I'm mean losing a spot to a new IP on PS4 and Xone was one thing, losing it to 360 is another. Anyways still good to see a Wii U game hanging in the top. I'm glad Mario Kart is doing this well. Nintendo needed that quite badly. @Peach64 I also agree but I do think that post E3 could be slightly more important in sales than this 2nd week as I'd guess a fair amount of people are on the fence with Mario Kart 8 and Wii U due to the possibility of more game droughts. @Jazzer94 How many of the copies of Mario Kart Wii were sold day one ? Not very many. @PJR0cks Losing out to a system that has a 80 plus million user base is not a bad thing. Wii U has less then 10% of that amount so considering that it did quite well! I've actually played more Tomodachi than I have Mario Kart. I'm addicted. I was playing it earlier before my exam as well. Well yeah but you have to also consider that many of those 80 million went ahead and bought a next gen console and will get the game on those consoles. MK was an exclusive game and a well known franchise, watch dogs on 360 was neither. people always bring up the numbers and compare the 6 mil to the 80 but you are missing the fact that watch dogs sold 2 million on a console with an 8million user base. People aren't buying Tomodachi Life because they have no idea what it's supposed to be. From the Japanese title to the gameplay videos, most westerners see them and just wonder if Nintendo's devs have lost their minds. It's an overly Japanese game with very strange, quirky humor and it isn't going to appeal to everyone. I haven't got TL for several reasons. The first is that even after reading reviews and watching videos, i still have no idea what the game really is all about (seems like it's about nothing in particular and gives you no clear objectives, but rather just gives you a bunch of random chores and minigames to slog through). The second reason is that it honestly looks like the kind of game one would play on a smart phone. And lastly, i already own what seems to be a much better life simulation game (one with clear goals and a less random-minigame kind of gameplay) in Animal Crossing: New Leaf. So even if TL was something that i thought i might like, that would give me two games i'd feel obligated to check in on daily, when one is more than enough for me. If TL were a $15 eshop game, sure, i may give it a go. But a $40 retail title is asking too much for a game that i can't even really get an idea of what it is. On the other hand, for those of you that did buy it, i hope you enjoy it! It's just not something i feel i'd enjoy, nor something i think has really wide appeal for the reasons above. When the entire top 10 is down like 20%+ on last week (Watch dogs is down by 81%) and is relatively unchanged it makes you realise the rest of chart must be sub 10k and practically dead. Anyway Tomodachi life. I guess next week is about number 30 and the week after off the charts, business as usual for first party 3DS game. There is always hope for a second wind and out of the charts/=/0. @faint Just UK. It will be interesting to see if later in the week Japan suffers from a drop in MK sales and if it is a similar amount (as that is the only country with good charts for this purpose). @unrandomsam Yep historicaly Nintendo titles are known to have long legs. You do not need a game to see that. @PJR0cks Many have bought a new system but over 90% have not. You want to include ps3 user in that 80 million then you have to bump that total to 170 million last gen hd users. So it was a highly anticipated game for all systems not just the newest. Pre orders were really high across all systems and hype can carry a game pretty far. Let's not forget that although it didn't quite live up to the hype it's still considered a good game across all formats. @faint The 76% drop is just for the UK as that's all that has been reported. We'll find out wednesday how much it dropped in Japan, and we'll never really know in the US as it's broken down by month, not week. @unrandomsam Yeah, it keeps selling, but that wasn't my point. My point was every week in the UK and Japan charts, people continue to bring up that week 1 is only 2 days of sales and week 2 will be even better, but it never is. Tomodqchi life is nintendogs but wit mii, almost no interaction besides feeding and giving gifts. @Peach64 The first day is important, but it's even more important how far the sales fall before they stabilize. 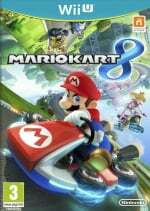 If Mario Kart 8 turns out "evergreen", the first day sales will pale eventually. They sold out of Tomodachi life where I was so it's at least got some buzz to it. I had to trek to the Tesco's to find a copy. I agree with Spooney_Tech's comments about attach rate. The Xbox 360 has 10's of millions of consoles where as there are less than 7 million Wii U's. The fact MK8 is still so high shows the game is really doing well. All these charts tell me is people are not completely sold on PS4 and XBone. They don't have enough quality games and there looks to be a drought this year, too. Nintendo is in the middle of a wave of AAA titles (SM3DW, DKTF, MK8, SSMBU etc) and thats why their titles are doing well in comparison. If the PS4 and XBone are so awesome, why are people buying Watch Dogs on older systems? Watch Dogs was supposed to be a system seller like MK8 and its not getting the job done. Sony and Microsoft have to be disappointed to see their old gen consoles are doing better. The Wii u is not just up against the Xbox and PlayStation, it's also struggling against the 3ds for punters money and time. As is the 3ds. Nintendo gamers with both the Wii u and the 3ds and who are not flush with cash and who would like both games, will settle for just one. I feel at the age of 30 that i may be too old for Tomodachi life. On paper anyway.But the game does intrigue me. I'm gonna leave it a few more weeks see how people are still enjoying it come then. Fans had to decide on a lot of choices on where to spend their hard earned cash, and it went to either 1) Mario Kart 8 with the Wii U Bundle, 2) Mario Kart 8 game only, 3) Watch Dogs on the other consoles, 4) something on the 3DS which was probably more affordable. Tomodachi has nothing to be ashamed of, they are doing okay, despite the ultra competitive climate of its release. I love sim games like HM and AC, so I picked up Tomodachi life. Honestly, I'm not thrilled. It's too repetitive and slow. @Flowerlark I'm really disappointed. I was pumped for TL, but after maybe 5 hours of gameplay I got bored. Watchdogs sold far better on PS4 and XB1 than on PS3 and X360. Why do you say such nonsense? To convince yourself otherwise. Please stop the lies. I too love Nintendo but hate lies and deliberate misinformation. Where in my comments did I say that PS3 and Xbox 360 versions sold better? I'm not sure where you are pulling that from. "If the PS4 and XBone are so awesome, why are people buying Watch Dogs on older systems? Watch Dogs was supposed to be a system seller like MK8 and its not getting the job done." This end part is what my comment was focused on. Why are so many people buying Watch Dogs for older systems when newer (supposedly better) consoles are available? The fact that MK8 is still high on the charts despite having less consoles is something to be happy about. I don't need to convince myself anything there. MK8 on 7 million consoles is completing well against Watch Dogs on consoles (PS3, XBone) that far out number the Wii U. Still not sure how this makes my comment nonsense and deliberate misinformation. Tomodachi Life is going to be my next 'big' purchase (as in full retail price and not budget eShop buys) but I haven't picked it up for a couple reasons, the most glaring being that I really don't feel an immediate need for a game like that as my Wii U has been overshadowing my 3DS since Mario Kart 8. I've even been playing some of my other games and my friends (who came over originally for Mario kart) pitched in to get Dungeons and Dragons Chronicles of Mystara as we are avid beat-em-up fans. It's on the list, but I don't feel as excited about it right now. Well for what it is worth, I couldnt find Tomodachi Life on launch day in five differrent local stores of different franchises. Was not on stock due to late shipment by the distributer it sounded. Now if i only knew how many Wii U's, PS4's and Xbox One's were sold in the UK so far. I still don't get why Nintendo felt they needed to develop a life sim in house when Animal Crossing is such a cash cow for them.